Sign up today and receive 20% off Sailboat Rentals!!! Captain Clint is a USCG Licensed Captain and certified to teach levels 101, 103, 104, 105, and 114. 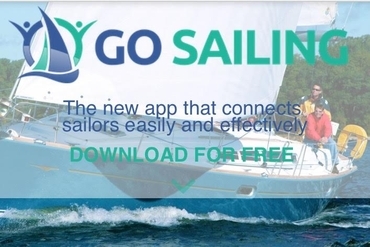 Go Sail Arizona students receive exclusive discounts on sailboat rentals with Pleasant Harbor Boat Rentals. 20% off 1/2 and full day rentals. These discounts are for Go Sail Arizona students ONLY. We have 3 Capri 22’s. Go to the sailboat rentals page for pricing. Demonstrate ability to skipper sailboat of approximately 20-27 ft in length by day in moderate conditions without supervision. Learn terminology, parts and functions, helm commands, sail trim, points of sail, basic navigation rules to avoid collisions and hazards. After completing your Basic Keel Boat 101 class and learning how to sail, like most of our students, you seek the skills to charter or skipper your own large sail boat. The freedom and adventure that calls you to this lifestyle is shared by all sailors new and old. All of our instructors are United Stated Coast Guard Licensed Captains and highly experienced ASA Certified Sailing Instructors. Once you complete this 3 day course you will be certified to charter your own sailboat of up to 45 feet in most conditions day or night. PLUS, your certified to charter anywhere else in the world providing endless opportunity for adventure and relaxation. This class will have you sailing fast and in comfort, but most importantly, safely and confidently. Learn what it takes to be skipper a large sailing catamaran up to 45 ft. on coastal waters all while earning your 103, 104, and 114 certifications that will allow you to charter large cruising catamarans AND mono-hulls anywhere in the world. Go Sail Arizona now offers a one day cruising catamaran 114 class for those who have already obtained their 101, 103, and 104 certifications. This class will have you sailing fast and in comfort, but most importantly, safely and confidently. Your lesson will include: tacking and driving, trim and performance, anchoring, heaving to, twinscrew maneuvering in close quarters, crew overboard, and MORE. Demonstrate the navigational theory required to safely navigate and skipper a sailing vessel of 30-50 feet in length and her crew in coastal or inland waters by day or night in any conditions. There is no Sailing Skills part to this standard. Scheduled lessons are non-refundable. 72 hour notice required to reschedule.